Salvation And Survival: Is Typhoid The New Ebola? Is Typhoid The New Ebola? A new study, which appeared in Nature Genetics, reports that an antibiotic-resistant strain of typhoid has begun to spread throughout eastern and southern Africa. This report is fueling fear that typhoid may be quickly reaching epidemic levels. The new strain, called H58, is a symptomatic bacterial infection, exasperated by unsanitary food and water. Typhoid fever affects between 20 million and 30 million people around the globe each year, and symptoms include a high, sustained fever, weakness, stomach pains, headache and loss of appetite. As many as 20% of patients can die from the disease. The evolving consensus from medical officials is that the unprecedented wave of cases (leading to their theory of a possible epidemic) is due to the lack of vaccinations for typhoid. Vanessa Wong, a microbiologist at the University of Cambridge in England is quoted as saying, "Instead, antibiotics are commonly used as a preventive measure. As a consequence, there is a rise in antibiotic resistance to many pathogens and in particular a resurgence of multidrug-resistant typhoid has been observed in some areas, including parts of Africa." 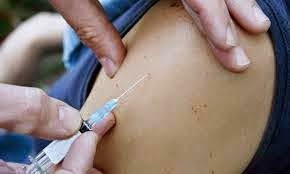 While Typhoid fever is not as life-threatening as Ebola, one has to be concerned about the push for vaccinations. 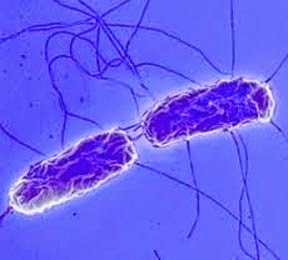 True, we have heard the horrific historical stories of typhoid deaths -- in 430 BC, it is speculated that typhoid was the cause for the deaths of one-third of the population of Athens, Greece. Some historians believe the English colony of Jamestown, Virginia, died out from typhoid. Typhoid fever killed more than 6000 settlers between 1607 and 1624. During the American Civil War, 81,360 Union soldiers died of typhoid or dysentery; and the Spanish-American War exposed our military to typhoid fever overseas. I am in no way diminishing the dangers or effects of typhoid, but I am always skeptical when a disease is quickly labeled as an "epidemic", followed by a rush to vaccinate. As I researched this latest outbreak of typhoid, I was mildly surprised to see that similar "epidemic" headlines were posted in 2010 and 2012. Yet, do you recall hearing any major alarms? And each of the current reports all read the same ... " uncovered evidence of an unreported recent wave of transmission of H58 in sub-Saharan Africa". Nothing more, nothing less. Forgive me ... but if officials were truly convinced that we were facing a "plague" of typhoid, wouldn't we be seeing more panic and real faces on the news? "IT IS FURTHER RECOMMENDED THAT WIDE PUBLICITY BE GIVEN, STATING THAT VACCINATION IS A PREVENTIVE OF SMALLPOX, AND URGING THE ABSOLUTE NECESSITY OF VACCINATION FOR EVERY MAN, WOMAN, AND CHILD IN THE CITY." I know that some people will just label this kind of exposure as conspiratorial. They are simply unable to conceive that humankind could exploit each other in such a way. But we must never forget that when money is involved, and the Elite feel threatened, nothing is too inexcusable. Doesn't it make you want to take a closer look at the increase in cases of polio from the polio vaccinations? Or the global outbreak of HIV and AIDS? And what about the soldiers who developed "Gulf War Syndrome" after being injected with an experimental vaccine. Now we face "designer viruses", and "duplex vaccines" are the answer! IF you would like to read more about Dr. Ott's postulation, and review the evidence for his article, please click here. Exodus 23:25 "You shall serve the Lord your God, and He will bless your bread and your water, and I will take sickness away from among you." Belle ,The body of believers are so convinced that the work of the apostles no longer applies to us, that Satan is having his way with no impediment. Hey Church! You have authority in Christ. The time to understand this concept and apply it is now. Get out of your pew and start using the authority and spiritual weapons Jesus gave you. Step into the gap and beat the crap out of the demons that are indwelling you,your church,and your unbelieving friends. Dang!!! It is so refreshing to hear someone speak of our authority and power in the name of Jesus Christ and through the Holy Spirit. If only the Church knew to use it, what an influence it could be in the world!